‘Like’ walking through a ‘snow storm’ of energies…walking through ‘insanity’ energy. We are PURGING so much! As this is ‘hitting’ us all at once..remember for the ‘first time’ we are feeling on ALL levels of Spirit and Soul and Mental and Emotional and PHYSICAL. Don’t be harsh on yourself, be gentle, loving and remind yourself to be strong and not be ‘battered’ down. Remind yourself YOU HAVE CHANGED. To realize ourselves and within ourselves, that we know we have grown and changed BUT THEY MAY NOT! It’s not ‘about’ proving or justifying this to others either, yet to reflect this in our replies or responses – if we feel we need to, as part of our souls journey – as we do this for ourselves and not others – there is a difference. As often in the past, we hid or isolated ourselves or ‘ran away’ from family energies…it is not about that ‘this time’…it is ‘about’ if we need to remove our energies, to do so by choice -consciously- again there is a difference. Or say what something is for us here and now.. and know that this may not be understood or respected and that we then RESPECT OURSELVES! Quite often the ‘same old’ words and past wounds are ‘thrown’ at us, because in the past, this ‘worked’ for others…while ‘underneath’ or deep within, we have been clearing, healing and releasing. While this still may at first ‘hurt’, we can now bring through a ‘shift’ of energies. We can ‘look at’ what old triggers are there, what old energies or loop others are still in..and REMOVE OURSELVES OUT OF THE OLD LOOP – Consciously now! In what ever way shape or form that may be for each of us personally as there are so many variables due to our/each unique situations. That the ‘old’ of ‘you are too sensitive’ or ‘you are too deep’ – you are too this or too that…pffft…’move on’ is what we need/can to say to ourselves. Time to ‘roll up’ our sleeves and get to that powerfully empowered person that we are..take it up ‘another notch’ in protection…expand this to from just YOU, remember to protect in the astrals/multidimensions as well! Take your ‘power’ back on a bigger level…as we are no longer to ‘self-sacrifice’ ourselves ANYMORE! As many are feeling ‘trapped’…that is ‘no longer’ for us to have this feeling – as we are NOT trapped – others may still be in an old family loop – and as we feel and transmute so much and so deeply we subconsciously ‘take this on’. With family energies this is a FALSE ENTRAPMENT. Don’t be terrified or go into fear…as we are often so ‘hard on ourselves’..and it is time to shift this. YOU ARE BIGGER THAN THIS AND ‘THEM’. We/you just need to remember or re-remember this! BUT we need to ‘know’ to stop taking this on. You are NOT WITHOUT POWER in this with yourself. Even someone in prison still has power within themselves within the situation. Time to Bring Your Power Back from Within Yourself. Picture the Golden Sun in your Solar Plexus. As really, underneath all of this is us still deeply on some level wanting THEIR unconditional love!!! Truly it is…this is not something that we may ‘know’ or feel consciously but it is there! It is the ‘old family loop’. Where we have felt it was ‘our fault’ if we didn’t reach them! This is so old and so ancient and goes back to the ‘great fall’ of Atlantis/Lemuria! Previous posts have covered and shared about this. Also what comes up is massive GUILT!! We can be so ‘angry’ at others and then we can internalize this and go into an old loop…which can ‘keep’ us un-well. We need to reach that ‘END POINT’ for ourselves, for what ever that is for each of us, to where we then REALIZE that we ‘don’t have the energy for this’. And then we can ‘save’ or keep our energy FOR OURSELVES. To realize we are not ‘failing’…that is NOT our energy. It is TIME to start differentiating of what is ours and what is NOT – for starters. As we are going through a NEW BIRTHING within a RE-BIRTHING!! Where so much is being released in the physical…yet remember we are now feeling and releasing on ALL levels from Spirit, Soul, Mental, Emotional and the last place we release is on the PHYSICAL. We have NOT DONE SO BEFORE on all layers like this before! This is like our ‘last port of call’ with family energies. As we cannot ‘do this for others’. ‘My savior is myself – through Christ Consciousness’ of UNCONDITIONAL LOVE of OURSELVES. The ‘way through’, is to ‘get’ the bigger picture of all of this…to ‘raise above it’ all of this..the bigger picture shared here and other posts. As this is so fear driven, others fears, playing on our fears that we need to release and remove ourselves out of an old family loop of energies. This has been part of our soul contracts ‘pushing’ us to Beyond limits to reach an ‘end of the line’ or reach the starting point of an old family loop (Pt 1). This is about YOU ‘saving’ yourself – LITERALLY. Realizing that the unconditional love that deeply and subconsciously we have been feeling we need from our ‘families’ NEEDS TO COME FROM WITHIN. As those that also come from unconditional love, do so effortlessly and easily and often that ‘comes from’ those outside of our birth families. As we do not have as many ‘family issues’ or as-close soul contracts with them as we do with our birth families that we chose to ‘come into’. THIS IS SO WORTH IT AS WE WILL NOT BE DOING THIS AGAIN! As I was given a vision this morning of two black ‘door openings’…and these ‘door openings’ will be closing on the 25th of December – In Spirit and Soul…and I will share more on this soon as guided. Many are now finding that their FAITH is all they have right now with so much surrendering and LETTING GO of old ‘family energies’. You are not ‘alone’ in what you are experiencing as so many Empaths and Blue Rays are feeling this so deeply right now with their birth families..as we have been transmuting for SO LONG. Please know that THIS IS SO WORTH IT AS WE WILL NOT BE DOING THIS AGAIN! We, who have endured so much over our lifetime(s) in transmuting and feeling so very deeply have reached an END POINT…where now, ‘doors’ will be closing ‘very soon’ – infact energetically this is ALREADY happening to assist us with this. We need to love unconditionally, yet this does start with ourselves and we need to remember that we do not change this to ‘suit’ ANYONE else! We do not need to feel guilty of ‘things’ that we may have done or ‘been’ in the past as a leopard may not change its spots BUT it can ‘move them around or shift them’. As often what ‘others’ are ‘hanging onto’ is an older version of ourselves! You know you have changed..you know you have grown..and that IS ENOUGH. As the Unconditional Love at a very deep ‘subconscious’ level we have been ‘seeking’ for from/through our birth families – now needs to come FROM OURSELVES. As those darker energy ‘doors’ of the old are now CLOSING. As we are now needing to shift ‘out’ of our ‘old’ family energies…into a very New Year in 2018 (and Beyond) of Creating and Manifestation – that we have SO EARNED..and ‘nothing’ and I mean NOTHING can ‘be in our way’ when we have a Souls Journey of the Divine! Allow your ‘Heart-Light’ to shine from within for yourself…as YOU SO DESERVE THIS and SO MUCH MORE. So much love to you and ALL you have endured so ‘far’ in your life. As always I am right here with you. As all I share and bring through is as a template for humanity in linking our Spirit to our Soul through our emotions from personal experience. About the author: Anastacia is in Service to humanity and Gaia, as an Ascended Earth Master in 6D human embodiment. 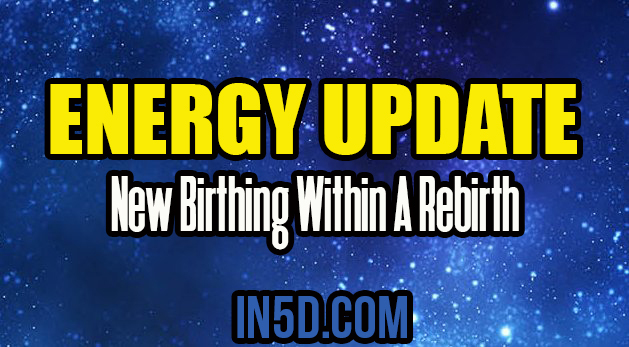 Sharing unique energy updates/insights from Spirit to Soul through our emotions = Both – of the Divine – through human embodiment of being in 6D, in real-time experience as a template for humanity.